VSDC Free Video Editor allows you to add quick changes to a video file as well as create a more complex project involving advanced post-production techniques. In other words, you can cut, crop, rotate, split and merge video files if you just need a quick adjustment. You can also add and edit audio, create text titles and subtitles, include images and graphic objects to the scene. There is a set of video effects, video styles, filters, and transitions. The main advantage of the software is its ability to process all the video formats and codecs including the rare H.265/HEVC. At the export level, it allows for keeping the highest quality of the video, adjusting framerate, resolution, video size, and other parameters. There are alos pre-configured export profiles for social media networks (Twitter, Instagram, Vimeo, Facebook) and a direct upload to YouTube. VSDC comes with a screen recorder, voice over, and a video capturing tool on board. Over 95% of VSDC features are available for free, and if you're looking for advanced tools like video stabilizer, masking, audio waveform, and hardware acceleration, you can purchase an annual subscription for the Pro solution ($19,99 per year). VSDC Free Video Editor was added by Graziella in May 2013 and the latest update was made in Feb 2019. The list of alternatives was updated Apr 2019 There is a history of all activites on VSDC Free Video Editor in our Activity Log. It's possible to update the information on VSDC Free Video Editor or report it as discontinued, duplicated or spam. Alternatives to VSDC Free Video Editor for Windows, Mac, Linux, iPhone, Web and more. Filter by license to discover only free or Open Source alternatives. This list contains a total of 25+ apps similar to VSDC Free Video Editor. 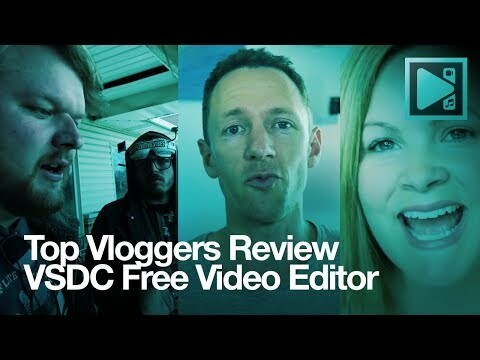 Maybe you want to be the first to submit a comment about VSDC Free Video Editor? Just click the button up to your right!